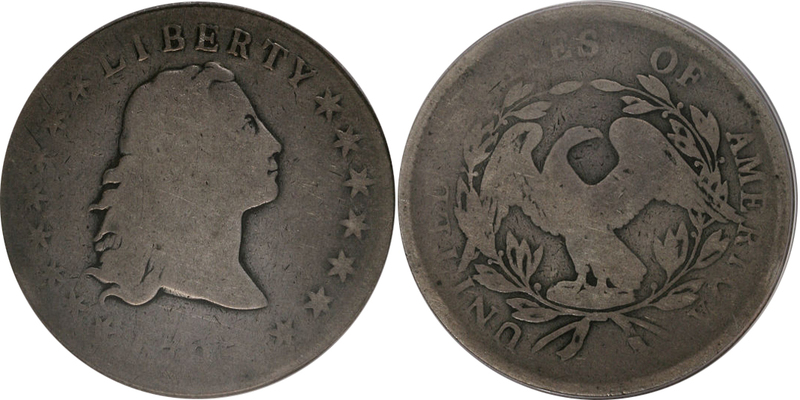 The Flowing Hair Dollar was minted for only two years 1794 and 1795 respectively and both dates are rare, but the 1794 is super rare with a mintage of only 1,758. The 1795 has a mintage of 160,294 but the survival of both dates is much lower. 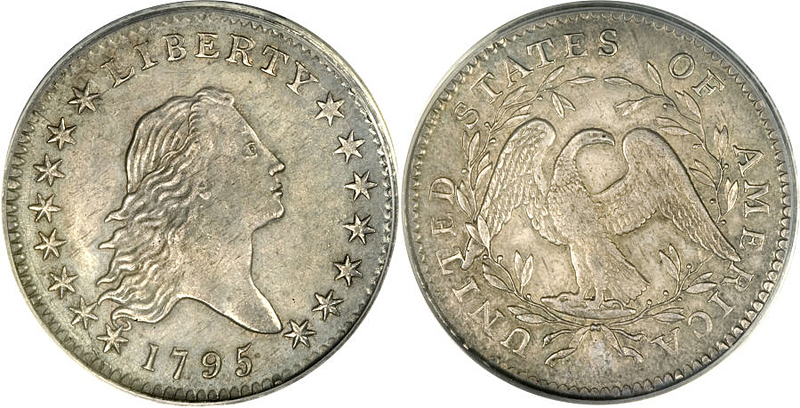 You don’t see Flowing Hair Dollars come up for auction often and when you do see them there’s not very many because of their low mintage and survival rate. You also can’t buy them for less than $1,200 in the lowest grade but might be able to buy a problem coin that has been cleaned, holed or damaged, in some way, for a little less. You don’t see these coins in AU (Almost Unicirculated) and almost nonexistent in MS (Mint State) so an AU example is worth anywhere from $20,000 up to 355,000 depending on the date. Flowing Hair Dollar value is determined by date, grade and condition.